Ken provides a comprehensive range of skills and experience to each client engagement. Having served as Project Architect for both K12 and higher education projects, Ken understands that each school’s needs and aspirations are unique. He crafts solutions that exceed requirements and objectives while also “doing more with less”—developing architecture within the constraints of limited budgets and tight schedules. Having been responsible for over $250 million in K12 projects, Ken has acquired an in-depth appreciation for the complexities of building. He has developed a recognized rapport with our construction partners resulting in economical, time-saving, and often ingenious solutions to building and design challenges as they arise in the field. The mutual respect he nurtures among members of the project team translates into an enjoyable process and better final results. 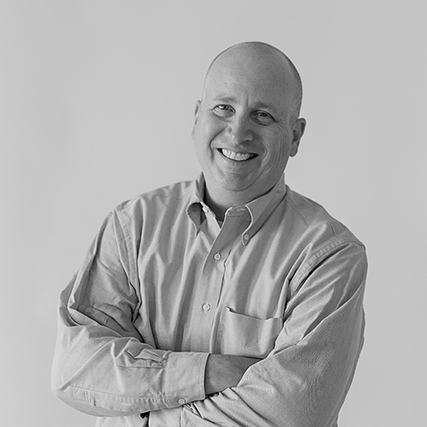 Like many at our firm, Ken is passionate about the intersection of education and architecture, and believes his most important professional responsibility beyond serving our clients is in training young architects. His role as Project Architect on demanding assignments allows him to lead by example, coaching, motivating, and inspiring the interns and consultants with whom he works.